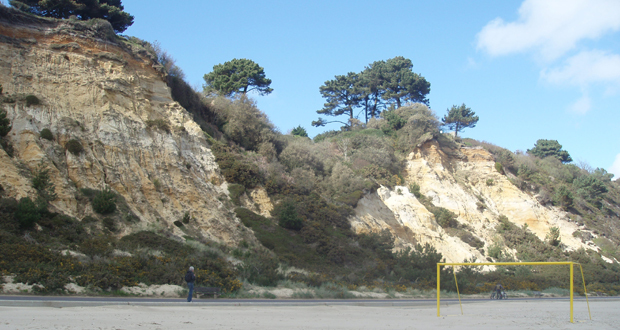 Situated between Branksome Chine and Flaghead Chine, Canford Cliffs Chine is a Blue Flag holder with pure golden sand. A natural and tranquil area the steep sandy cliff face is the perfect home for our local wildlife and is therefore a conservation area. Whilst the gradual sloping beach and safe waters make it perfect for us! Accessing the beach is via the Chine, down some steps. Although not too difficult do remember that to go home you have to walk back up! Alternatively walk along the promenade from one of the nearby beaches. But don’t let that put you off as this beautiful wide beach is worth it. And with the stunning cliff background your holiday photos will look very impressive! 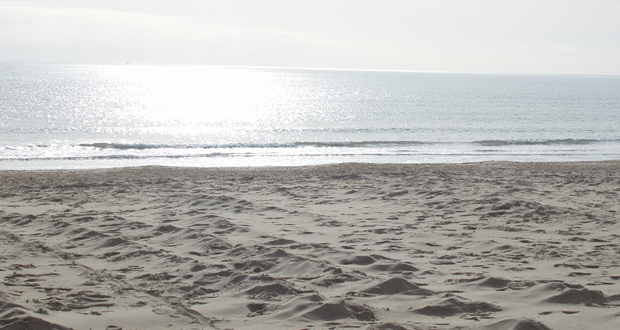 The beach is patrolled by lifeguards from July to September and beach wheelchairs are available to hire free of charge, though please give 24 hours notice by calling 01202 708181. And budding footballers will just love the soccer pitch on the beach, used by the England Beach Soccer team as their training pitch. 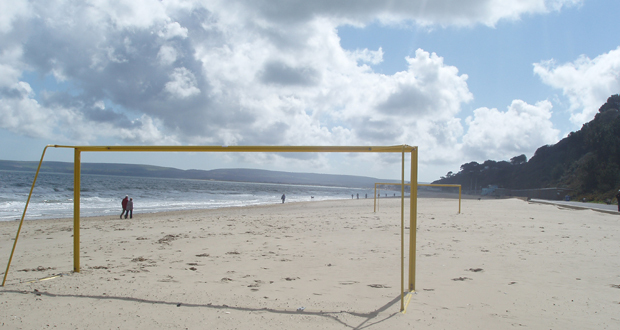 Balls, nets and corner flags can be borrowed from the Canford Cliffs beach office during the day for those fancying a game of beach football! Please note that a refundable deposit is required. Parking is available on Ravine Road for 59 vehicles. There is also limited on road parking in surrounding roads and like anywhere in Poole can fill up quickly especially when the hot weather arrives. Dogs are welcome however they are not allowed on the main beach from 1st May to 30th September. Barbeques are permitted, without permission, after 6pm for groups of up to 12 people. BBQ’s and all rubbish should be cleared away by 11.00pm. Please choose your spot carefully and ensure that you dispose of your remains sensibly. For parties greater than 12 people permission must first be sought from Poole Council 7 days in advance.